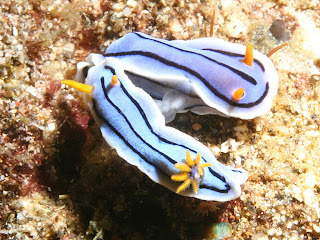 Animal Wildlife | Sea Slug | dragon sea slug, sea slug pictures, sea slug images, blue dragon sea slug, green sea slug, sea slug facts, lettuce sea slug, sea slug photosynthesis, pelagic sea slug, sea slug for sale - The sea slug is also commonly referred to as a sea cucumber, mainly because of the of the sea slug's shape and the fact that it is normally found on coral or rocks usually being very still, making it look like a type of aquatic vegetable. 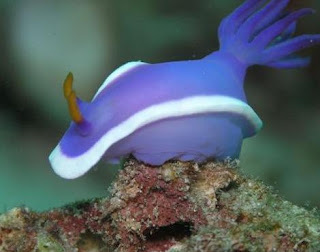 The sea slug is a herbivorous animals and feeds on plankton and decaying matter on the ocean floor, along with grazing on the rocks and coral reefs for algae. By munching on the decomposing plant matter on the ocean floor, the sea slug is of great benefit to every marine environment where the sea inhabits. 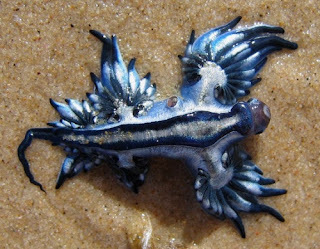 Due to their motionless nature, sea slugs are often very exposed and are therefore popular prey for a wide variety of predatory animals in the oceans. Crabs, lobsters, fish and even humans are among the animals that prey on the fleshy sea slug. Some species of sea slug are able to protect themselves from danger by wrapping their tentacles around potential predators, so that the predator is unable to harm them. This only applies however to the species of sea slug that actually have tentacles, others are completely defenceless. The sea slug is often an interesting addition to a salt-water aquarium and can be useful in keeping the algae levels at a minimum. 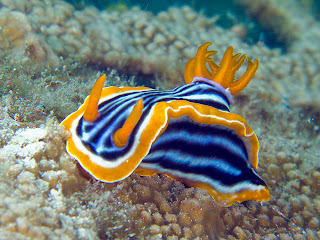 Although the sea slug leads a relatively motionless existence, they are an important factor in any marine environment. There are known to be thousands of different sea slug species found around the world and it is estimated that there are many more species of sea slug that have not yet been discovered. Sea slugs can range in size from just a few millimetres to more than 30 centimetres in length and can be found in a variety of colours and shapes. The sea slug is a hermaphrodite, meaning that the sea slug has both male and female reproductive organs. Sea slugs release eggs into the water in ribbon-like sticky clusters which can contain thousands of eggs but usually much less. The eggs are fertilized and the sea slug larvae (the baby sea slugs) soon develop and become bigger, after hatching from their sticky eggs. Sea slugs are not only harvested for food by humans but are also used in traditional medicines particularly in the far east as the extracts from the sea cucumbers are said to have healing properties. 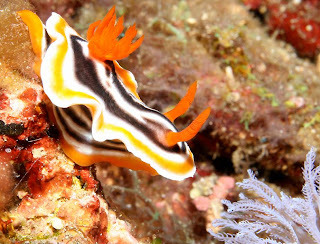 3 Responses to "Sea Slug"
Nudibranchs are often casually called "sea slugs", a non-scientific term. This has led some people to assume that every sea slug must be a nudibranch. Nudibranchs are very numerous in terms of species, and are often very attractive and noticeable, but there are a wide variety of other kinds of sea slugs, and these belong to several taxonomic groups that are not very closely related to nudibranchs. A fair number of these other sea slugs are colorful, and can be confused with nudibranchs.